Photo by Obed Hernández on Unsplash edited in Canva. You know you are a design dork when your daughter says her future college roommates are planning on a pink and light blue color palette for their dorm room and your immediate response is “As in the Pantone colors of the year 2016?” instead of “Sounds great, Honey. Let’s go shopping.” I’m just saying that may have happened to me last week and I’d appreciate it if you didn’t judge. Everyone is getting on the dorm room decorating band wagon these days. Dorm room decorating – like other forms of trend decorating – is big business. Target has its back to school section, of course, as do teen standbys like Urban Outfitters and PB Teen, but even more traditionally full service furniture and décor sources are getting in the mix. This month’s Better Homes and Gardens has a small feature about dorm décor from the 1962 at the very back. For better or for worse, we’ve come a long way in what is available to decorate dorm rooms. Planning ahead and “matching” with dorm mates is a thing now. There are even dedicated dorm décor websites (check out Dormify and Room 422). It’s all I can do not to pull out one of those, “In my day, we…” Honestly. Anyone else just go to Bed Bath and Beyond, buy some twin XL sheets, and call it a day? This post contains affiliate links. Purchases made thru these links help to fund the content provided in this blog. While I do not have all of these pieces in my home, I will only ever recommend pieces from reputable sellers that I believe in. Please take care to measure carefully for your furniture before ordering. One of the toughest things about decorating with kids is that they grow up. Statement of the obvious, yes? But it is more than just a kid’s taste that changes as they grow up. We don’t always want to acknowledge it as parents, but our kids do get bigger. It happens quickly at first when they are babies, then slows down a bit such that when we turn and look one day, we have big kids in elementary school. How did that even happen? Let’s not continue the progression from there. I know it is a tough reality to swallow. As parents, we plan for the future but we don’t want to think about our kids growing up. We want to savor them today as they are, in our laps and reading a book. Trust me, I am all for that. But I am also for planning a little. 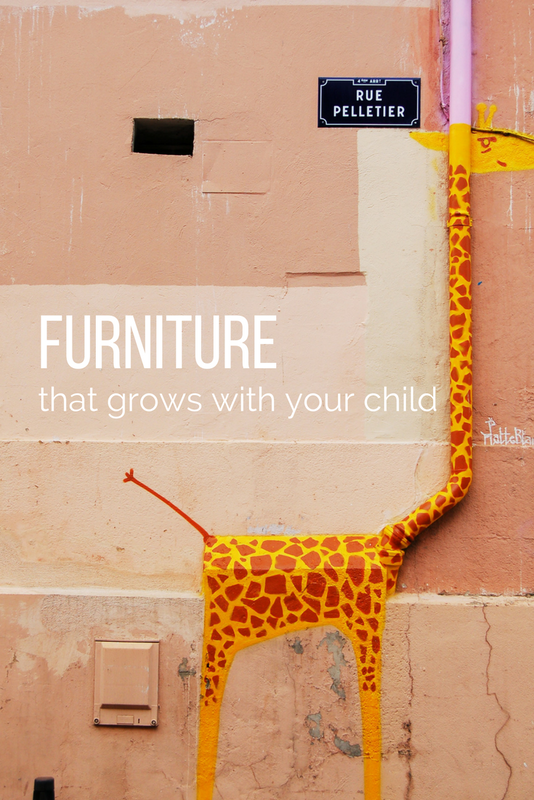 There are choices that you can make today for your child’s room that will grow with your child.